Does Anyone Let Their Chow Walk Without a Leash? 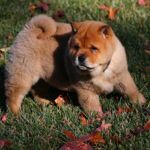 Does anyone let their chow walk without a leash outside? My dream is to have a dog one day that can walk side by side with me. Though it does seem like a far way to go, but I hope it happens. Has anyone let their chow off leash yet? How do you know they wont run off or even go crazy? Chows are given the reputation of being aggressive, but my pup been socialized or in the process. He has never bit anyone, unless it inside and he gets super rowdy and playful to that point where he gets you. My worry is my chow, if I ever decide to let it off the leash. I feel as though he would run away or not listen. Maybe it something I just worry about because this has yet to happen, nor do I know the outcome. Well, there goes Sheena with her "catch me if you can" chowatude! While I'm in a panic Tried that and will never do that again! No matter how much Sheena is trained! Now that she is older I could catch her but she has a mind of her own! I've noticed in the dog park she walks beside me but then suddenly she veers off into her own world and could care less about me. When she was younger she would sneak right past me at the doorway and run down the block and cross the street w/o even looking. That's when I trained her on leash to "wait" at the curb every time we crossed the street. I would practice with cars coming from the distance and taught her "let's go-hurry" and let's go-slow as well. When she snuck past me after that I noticed when she went down the street Sheena stopped at the curb and looked before beginning to cross and another time she changed direction from east-west and went north-south when she saw a car coming north-south. So I feel a teensy bit more confident but at all costs I only allow her off leash when there is a fence around her! It's important check how your chow develops...highly attentive and obedient immediately or a wanderer and decides to obey when it wants to obey. I have seen it be done but I really wouldn't recommend it. Chows are a headstrong breed. They are not as eager to please as other dogs and might decide to run off after something. They also love to turn catching them into a game. If you teach your chow how to walk well on a leash, there should never be a reason to not use it in my opinion. Better safe than sorry. When I was a newbie dog and chow owner (my first dog was a chow puppy) I took him to the off leash unfenced dog park that everyone else took their dogs to thinking everyone else is doing it and he knows his name and will come for treats if nothing else. I unhooked the leash and that darn chow ran full speed into the parking lot heading for the road with me screaming in terror running behind him. After that, never again. As for running off, he's only a puppy but in two months will turn 1, I think he still needs us. I've heard after they reach adulthood they can't be left off, but at the moment his recall is solid. He doesn't walk next to me, as he's galloping from tree to tree, dog to dog and people to people. His prey drive is not strong as I've discouraged chasing small fluffy things like my house bunnies. But he'll occasionally chase the odd bird for 10 metres before realising he's too slow(and look! another tree!) and gives up. What I did when I first let him off leash was go to a very busy dog park (my local one, before I moved, was full of friendly dogs and owners), because Paddington loves all dogs and won't leave them alone. I was scared at first but all the other owners encouraged me and so I did. Turned out it was fine, he would follow the other dogs around and if I wanted him back I could just walk up to him and clip him up. I guess this would only work for you if your chow was a obsessed with other dogs as mine is though. We now go to a reserve located within a residential zone, so the roads and car parks surrounding this reserve aren't busy. However, he does sometimes go on the road and I have been able to call him back immediately. I will probably come back here in a few months saying the complete opposite, but I hope not. If by off leash, you mean without an enclosed environment, NO. It is rare (although can be done) that a chow exhibits decent recall skills. It's just too risky. I would allow, for example, at an enclosed dog park or similar. I do trust my dogs to behave properly with both other dogs and people, its just the come back when i ask aspect that is worrisome. No, if my Chows get loose I have a panic attack, since they head for the nearest road. Chows must have some kind of attraction to asphalt. My one Chow Kamie would come back if I called her, once she returned after chasing a Deere, as if she thought she could ever catch it. Maybe Kamie was a Mix after all. Chows act as if they wear blinders and follow scent or visually sited targets with little regard for what is around them; very focused. You are right Chunkymonkeys, i forgot about that event. The owner of that Chow is still neurotic about taking her dogs into public because of that escape. And listening to the folks that run it, they claim it is the only dog to have completely ignored the bait and run off. Many years ago i heard tales of greyhounds that were ruined from racing if they caught the phony rabbit. They just wouldn't chase it anymore because they knew it was nothing. Chows are similar to that, and recall will only work if they are completely convinced that whatever you are calling them for is better than what they might find by wandering off on their own. In the case of that video, my friend Kim's dog was completely convinced that the opportunity to catch 5 men on bikes was way better than any liver bait she could offer. I think dog's will chase cars for the same reason...catching a ride to Petsmart is way better than returning to their owner for a chunk of cookie treat. We run our dogs on an outside lead. Naturally, those things wear down in time and eventually fail. The only way to catch Rory, our male, is when he stops to mark a bush, tree, hydrant or whatever. Our female, Amber, doesnt have that same urge, so it's 'hope you see her in time'. She won't dart off or try to evade us, but just sets a course. Rory is great, he will wait for the collar 'click' before heading outside, so its only those equipment failures we have to worry about. Amber is ready to go as soon as a door is opened. She has nosed her way through a gated screen door and will only wait if its an exchange between her and Rory. We actually had an escape episode last week when an in-law left and didnt tell anyone she was leaving, thus the door wasn't double bolted. No idea where she was headed as she is really dependent on her people, but she was going. it shows perfectly a Chow's personality. Plus I can't tell you how many times I've chased my Chows down the street, giving my neighbors a good laugh! At this time and behavoir, Doppler wouldn't walk without leash unless he's in our yard or at our neighbor's larger fenced yard where he and their JRT & dachshund can play and run together. "Dogs are not our whole life, but they make our lives whole. " Yes, I have on several occasions, basically because he pulls so hard on the leash and makes so many sudden jerky spurts here and there on his lead that I ended up in a lot of pain. Unfortunately though, it was not a good idea as, living in a country like Greece where most people shriek in horror at the sight of a "wild lion" escaped from the zoo, strolling freely in front of them, I had to give up the idea just to prevent the police arresting us! Strange but true.... Another problem I faced when leaving him off the leash was that, by nature, chows are not only "kings of Guards or Guards of Kings" they are also exceptional ground hunters with the result that during our "free and happy" walks he would suddenly dive into people's front gardens, garages, shops, cafes, under parked cars, go over railway bridges all by himself, in a perpetual hunt for cats, kittens, mice, rats. He has never done this with birds, pigeons, etc. Those are ignored. On several occasions he has dragged me over and under parked cars, through bushes and fences to get to his "prey", resulting in 2 mangled and killed cats, 1 kitten and a rat, all dead Not nice and dreadful to hear the pitiful squeals...."Mea culpa". Not to mention the swearing and threats I get from people trying to protect their houses/properties/plants from a roaming lion....... Ergo, just for a quiet life, for the last 9 months I have kept him on his lead during walks having taken a couple of aspirin in advance. Like it or not. Bottom line is the only way Ming is walking off his lead is half way up a mountain or in the middle of Siberia! And that's a fact! P.S. Sorry folks, I forgot. 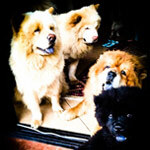 Any vet will tell you that Chows have no peripheral [left, right, behind] vision. They can only see straight ahead. This is why when they are free off the lead, they will pelt away in one direction without turning left or right until you eventually catch up with it if and when it stops! It is as though on those occasions that its owner simply does not exist!! I reiterate.....NO WAY!! When we moved up to our land, Tess was never on leash. We took walks on our dirt road which turns eventually to a National Forest trail. I never had any problems with Tess running off up here, however when we lived in the city, Tess took off once & that became the Sushi/Roger incident. Lilly gets to walk without leash all the time. She loves home and doesn't like cars or roads. Just yesterday I got her to willingly take a walk up our road. She loves to smell the smells and will stay at a single place sniffing for stories & then catches up with me. We love the winter and hike all over our 20 acres. Usually I follow Lilly, but all I have to say is "going home" and she turns towards home. She like Tess now understands "going walking," "where do you want to go" and other "walking" phrases. Lilly watches me, if she can't see me she starts for home. Once were down at the end of our driveway, I was doing some weed pulling and lost sight of Lilly. I started calling her and got worried, clouds were moving in and I could see that we were in for a storm. I can't whistle, so I started back to the cabin to get Mike's military whistle. Guess who I saw on our porch? Lilly! This is something that I am working on with my trainer.....i was confident that (one day) Oscar could be let off the lead in parks/near the lakes / beaches etc but my trainer informed me last week that she would not risk it with him. He is not food motivated when out, does not concentrate on me whatsoever, especially when there are other dogs are around. I've bought a rabbit fur ball to 'get him excited' when out but he is not that bothered with that either. One day I hope his recall will improve but for now, Oscar is staying on the lead. Well, I feel a bit better now that I know I wasn't the only one. I do remember trying so hard with many of the methods suggested, but I could never walk Bear off-leash. He was good enough to walk loose-leash, but he certainly knew when the leash was off...and if he saw something that really interested him, he was gone. I did walk him off-leash in the final 2 years when his hearing & vision were failing and arthritis had really slowed him down. Ah, well. kitten1426 wrote: ..we did train them with treats in the front of the house when young we would play go to Mommy go to Daddy game when they came to us they would get a treat.. I didn't really fully understand this when I read it a few weeks ago. But I've been watching dog training videos on Youtube recently (something not available 17 years ago) and there are some new (at least to me) methods. I've a feeling Chows are harder to train; I don't see them featured in any of the training videos. 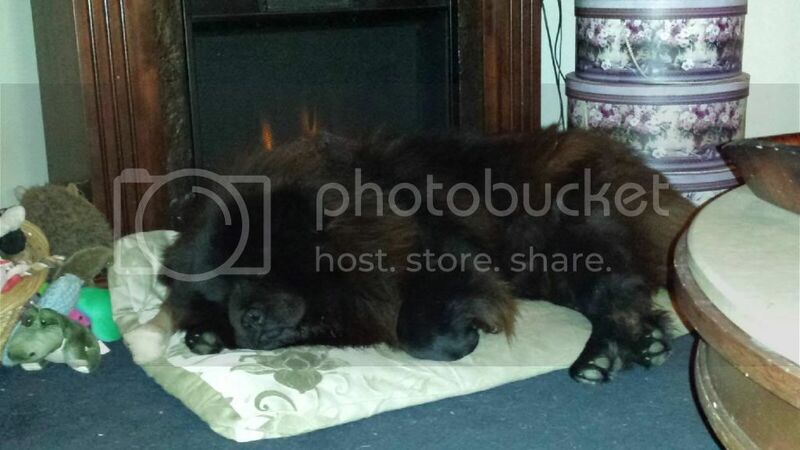 I admire everyone who can tell their Chows have a solid recall. I thought at least within the perimeter of the house and with treats I can accomplish that. That was until Nala discovered that watching the neighbors cat is more fun then getting a treat. Now I have to convince first Simba that it is time to go to the sleeping place and then I have to go and get Nala. There is no way, that this guys would always come back to me if left off-leash in an open area. Did you ever get a chance to make this video? If not, could you describe what you did? My pup is now 13 weeks old and we're working hard on regular check-in (look at me) and "come here". He's pretty reliable in our own backyard, but becomes gradually more unaware of me as distractions increase. In a room full of other puppies and people, he doesn't even check-in until he gets tired or thirsty. That's to be expected and we'll be working to add distractions in the training process. Any suggestions?